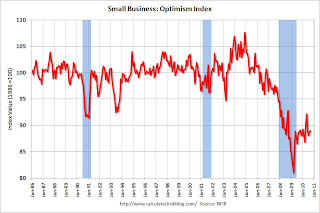 Calculated Risk: Graphs: Small Business Optimism, Hiring and "Biggest Problem"
Graphs: Small Business Optimism, Hiring and "Biggest Problem"
The first graph shows the small business optimism index since 1986. Although the index increased slightly in September, it is still at recessionary level according to NFIB Chief Economist Bill Dunkelberg who said: "The downturn may be officially over, but small business owners have for the most part seen no evidence of it." 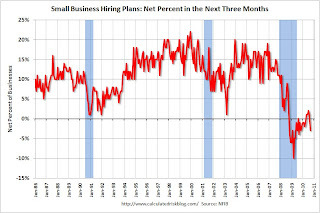 The second graph shows the net hiring plans over the next three months. Hiring plans have turned negative again. 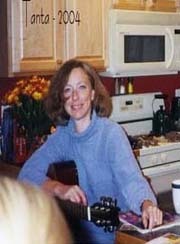 According to NFIB: "Over the next three months, eight percent plan to increase employment (unchanged), and 16 percent plan to reduce their workforce (up three points), yielding a seasonally adjusted net negative three percent of owners planning to create new jobs, down four points from August." 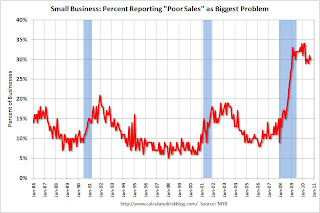 And the third graph shows the percent of small businesses saying "poor sales" is their biggest problem. Usually small business owners complain about taxes and regulations (that usually means business is good! ), but now their self reported biggest problem is lack of demand.